Event planning is a stressful work that requires a lot of homework like planning, management, budgeting, marketing and many more. It is an art of total arrangement in order to create memories that are unforgettable for a lifetime. It is such an important task that can make or break an event and company. To make an event successful, you need a powerful idea and implementing it with unbeatable concept. It aims to run a better event with an engaging concept. At the core, your event should move audiences, disrupt, divide and unite. Before you begin to proceed with your event set clear objectives. Define the purpose of the event. For example, why are you organizing the event? What you hope to achieve from this? Or, why are you celebrating this occasion? Think why you are doing and what you want to achieve. Team work is essential for the successful accomplishment of any event so pickup few people with some idea and expertise for the scheduled event. There volunteer service will help you a lot. For the best result divide the team into different groups and assign them with their specific tasks. With clear objectives and workforce, plan on event budget. Besides budget, the plan must include venue, logistics and catering management. Make an excel spreadsheet with the column titles like items, projected costs, actual expense and other details. Categorize and Track the expense items. Also plan and budget for speakers, entertainers and other activities. 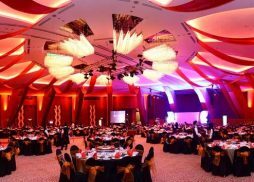 A good event planning is staying within client’s event budget. And to do that, you need a detailed event budget that you and your client agreed on earlier. Keeping an event budget will help you to stay organized. Budget management is essential for successful event management. It helps you think and plan ahead. Moreover, it is also helpful to cope any kind of contingency. This is most important thing to mediate on. When and where you are organizing an event will decide the success of event. If it is recurring event, then date might be set already. But when it comes to new event, you have to choose the date carefully. Think about your audiences—from where they come, is the location appropriate for all and many more. And sometimes venue can also offer or decide the time and date for your event due to their early booking. Be aware of statutory and religious holidays. Try to avoid school holiday time periods. If you want your event to stand out, then you need to choose a timely and compelling theme that sets you apart from your competitors. Think about other ways to make loud noise regarding event. Email, twitter, facebook or event websites or even promote in company’s websites. The type of event, target audience, internal resources and budget will dictate your marketing approach. You have decided on date and time. Keep yourself organized. Make a checklist—what is going on and what needs to be done? Expenses are common with any kind of event. You do not want to spend from your pocket, do you? Are there organizations that you could partner with or call on for sponsorships to pay the costs and increase potential participation? When you involve other people or groups in your event, they have a stake in it and will help to buzz out loud. When you set your initial event goals, also consider to measure the success of the event. Apply appropriate measurement for this so that there may not be any kind of biasness. After the event, it is better to get the opinion of delegates and participants. It is also right time to take feedback from your delegates. What worked and what did not?